Ever since the first chocolate chip cookie came out of the Toll House Inn kitchen in 1938, everyone has been captivated by that signature caramel-butterscotch flavor. The national obsession with this treat has inspired seemingly endless variations and recipes to choose between. You’ll find them in bakeries, coffee shops, and grocery stores from coast to coast, sometimes with nuts, oatmeal, or other add-ins. Everyone has a favorite style: still a bit gooey in the middle, crisp and flaky as a wafer, or fluffy and cakey. What if we told you that you could replicate your favorite at home? 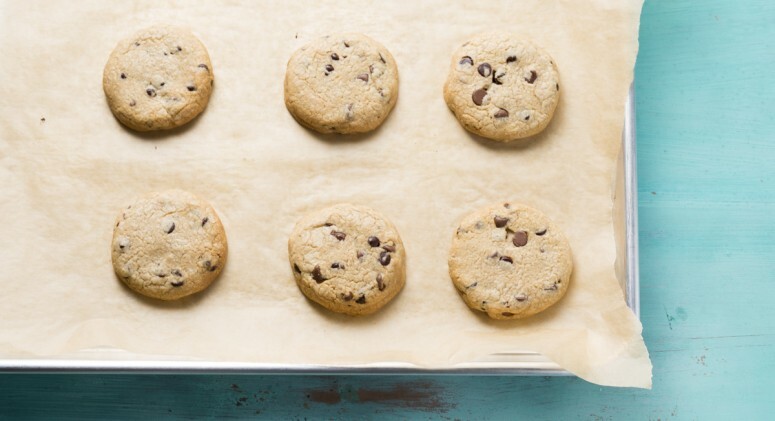 No matter how you like ’em, we’ve rounded up some of our best tips to help you bake the perfect chocolate chip cookie. If you want these cookies to taste way better than store-bought, it’s important to start with the best raw materials. 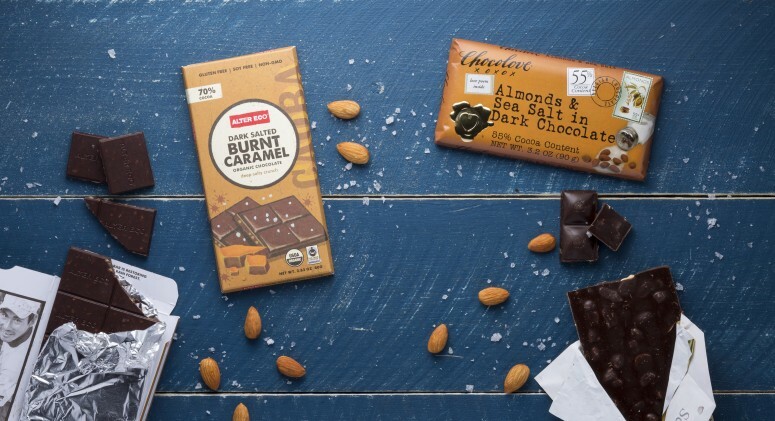 Opt for a grass-fed, unsalted butter, cage-free eggs, semi-sweet chocolate chips or chopped dark chocolate, and pure Madagascar vanilla extract. Make sure to check your recipe calls for brown sugar, too—it’s key to that caramelized, butterscotch flavor. Adapt the recipe to your liking. Depending on which texture you prefer, you’ll need to slightly modify the standard recipe. It’s imperative to use a higher ratio of butter to flour. If a recipe calls for 1 cup of butter, throw in an extra tablespoon to ¼ cup. The more butter, the more the dough spreads as it bakes in the oven—and the thinner the final cookie. Most chocolate chip cookie recipes aim for this middle ground. Follow the recipe, but keep a careful eye on the cooking time to make sure the cookies don’t become overcooked and dry. Pull them out of the oven when they start to get a nice tan, and keep in mind they’ll continue to cook slightly on the hot tray. You’ll want a higher ratio of flour to butter—use 1/4 cup less butter than the recipe calls for. Baking powder is also crucial. As the dough bakes, the baking powder releases bubbles of carbon dioxide, pushing the top of the cookie up, up, up. This reaction also creates air pockets, producing that cakey texture. Allow the dough to rest. According to Serious Eats, letting dough rest overnight in the fridge is the single most important thing you can do. Okay, but why? When dough rests, enzymes start to break down proteins and starches in the flour. That causes incredible development of flavor—something that you don’t normally get in cookies. Refrigerating the dough also keeps the cookies from spreading as much in the oven. If you can’t wait a whole day, a couple of hours might do the trick. Set the oven to 356 degrees Fahrenheit. Baking doesn’t just set the wet dough—it also produces the deep butterscotch flavors that make chocolate chip cookies so iconic. Two chemical reactions crucial to flavor occur in the oven: Maillard reactions and caramelization. When the cookie dough reaches 310 degrees, Maillard reactions begin. Proteins and sugars break down, rearranging themselves into new structures that give food a lovely browned color (think roasted turkey) and create new, more complex flavor compounds. At 356 degrees or so, caramelization begins. The sugar molecules turn from crystals to brown liquid, at the same time developing tons of flavors and aromas that make the cookies all but irresistible. To take advantage of both processes, make sure to set your oven to about 356 degrees. That’s about 6 degrees higher than most recipes specify, so it might require you to shorten the cooking time of your recipe slightly, but it’s definitely worth it. There’s a reason why nearly every recipe calls for a tiny amount of salt: It brings out the sweetness of the cookies and adds a delicate balance to an otherwise sugary dessert. Add a pinch to your dough, or for a more modern approach, sprinkle flaky sea salt on the cookies right when they come out of the oven.